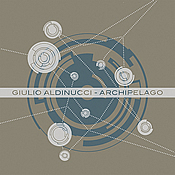 This brief four-track from Giulio Alidinucci, who also records as Obsil, is meant to showcase the composer’s electro-acoustic work. To that end, he employs various sound sources, including pipe organ, Mellotron, synth pads, and field recordings, which he then manipulates. The result is work that stays on the quieter side, but shows a lot of diverse texture. Three of the four tracks are quick hits, the longest, “Aria,” running just five minutes. That piece floats quietly, using the pipe organ as its starting point, drawing a simple and soft line from start to finish. That feeling, unfortunately, is marred by the extremely abrupt start to the second track, “Satellite.” It feels like a bad edit that got left in the final product, and it sounds amateurish. Otherwise, its wavering tones and sprinklings of piano notes and other wayward sounds make for an interesting, nicely textured few minutes. “Short Circuit” opens with the sounds of walking in the woods, the crunch of leaves underfoot, and wends its way into rich, watery tones. Pads and light touches of piano add to the backdrop. Toward the end of this piece, Aldinucci plays with cutting out the sound in spots, which, to me, distracts from the flow of the thing. I’m sure it’s a conscious choice, but it feels like an error. The closer, “R’n’R Through Broken Headphones,” builds up from a long drone. The sources here are synth and field recordings, but processed heavily into dense structures. Aldinucci adds subtle textures and rhythm beneath them, then builds those to more overt manipulations. I like the way he ramps up the intensity on this, just to strip it back coming into the final minutes, paring back until we’re left with the field recordings, like a return to the real world. For an offering that rolls in at under half an hour, Archipelago packs in a lot of intent and effect. Well worth checking out.